Car accidents have the potential to be life changing events. Even an otherwise minor collision can leave you suffering serious injuries which take months or even years to recover from and could leave you suffering permanent disabilities. When you file a car accident claim, you have only one chance to get the compensation you need to recover, which is why you need a board certified trial lawyer working on your case. Sends a clear message to the insurance company. According to the American Association of Justice, insurance companies often try to undervalue or deny claims as a way of increasing their own profits. Unfortunately, even the most reputable companies engage in these types of practices. Having a board certified trial lawyer on your side prevents this from happening and sends a clear message that you will not be easily dismissed or taken advantage of. 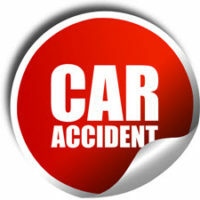 Ensures a thorough car accident investigation. Car accident investigations are key in showing how a crash occurred and that the other driver is liable. If you are found even partially at fault, it will reduce the amount you receive in a settlement. Our office has extensive experience in accident investigations and can gather evidence such as videotape recordings, witness statements, and expert testimony to support your claims. Experience counts in court proceedings. In the event a fair settlement cannot be reached with the insurance company, we will not hesitate in taking your case to court. Our reputation among judges and court personnel combined with our knowledge of the Florida Statutes and how they apply in your situation helps to ensure the best possible outcome in your case. Helps you get the maximum amount of compensation you need to recover. Car accidents can leave you facing a mountain of medical debts, in addition to lost wages and other costs you incur. Unfortunately, even minor injuries can come back to haunt you in the future, resulting in the need for additional medical treatments and leaving you with ongoing disabilities. By carefully reviewing medical records and obtaining statements from providers, we help you get the compensation you need to cover both your current and future costs. At the Law Office of Steven G. Lavely, our main goal is getting you the compensation you need to recover from your injuries. To request a consultation to see how we can assist in your particular case, reach out and contact our Bradenton car accident attorney to request a consultation today.